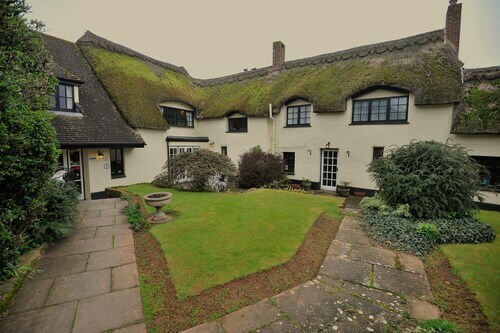 Situated in Exeter, this bed & breakfast is 2.3 mi (3.7 km) from University of Exeter and within 6 mi (10 km) of Princesshay and Exeter's Underground Passages. Rougemont Castle and University of Exeter - Saint Luke's Campus are also within 6 mi (10 km). 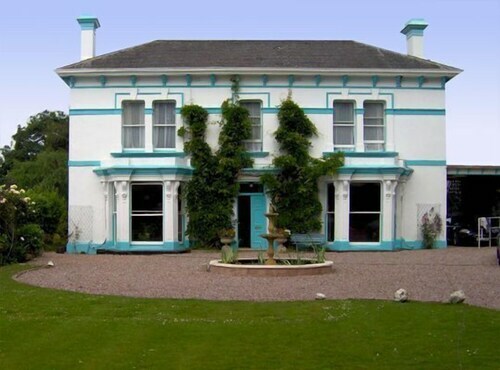 Situated in a rural location, this hotel is 2.9 mi (4.7 km) from National Trust Killerton and within 6 mi (10 km) of University of Exeter and Princesshay. Exeter's Underground Passages and University of Exeter - Saint Luke's Campus are also within 6 mi (10 km). Situated near the airport, this hotel is within 3 mi (5 km) of Pynes Hill Estate, University of Exeter - Saint Luke's Campus, and Northbrook Approach Golf Course. Exeter's Underground Passages and Princesshay are also within 3 mi (5 km). Exeter Pinhoe Station is 22 minutes by foot and Digby & Sowton Station is 24 minutes. Located in the heart of Exeter, this hotel is within 9 mi (15 km) of Crealy Great Adventure Park, Princesshay, and Exeter Cathedral. University of Exeter and Powderham Castle are also within 12 mi (20 km). How Much is a Hotel Room in Stoke Canon? Hotels in Stoke Canon start at $54 per night. Prices and availability subject to change. Additional terms may apply. Inspiring accommodation choices are waiting for you in Stoke Canon. Travelocity's up-to-date booking guide features 27 hotels that are within 6 miles (10 kilometers) of the downtown area of Stoke Canon. Within 0.6 miles (1 kilometer) of central Stoke Canon, Travelocity readers can make memories at the great hotels, like the The Barton Cross Hotel and Culm Vale Country House. 13 miles (21 kilometers) away from the town center of Stoke Canon, you will come across the The Victoria Hotel. The Orestone Manor is situated 19 miles (30 kilometers) away. The Eastwrey Barton - Guest house and also the Ilsington Country House Hotel are two other bases around Stoke Canon. 35 miles (58 kilometers) away from Stoke Canon, you will find Plymouth, which is home to University of Plymouth and Charles Church. Should you wish to spend a night or two in Plymouth, check out the Elfordleigh and Boringdon Hall Hotel and Spa. For another option, head to Dartmoor, 25 miles (37 kilometers) to the southwest of Stoke Canon, where you'll find the Two Bridges Hotel and Lydgate House Hotel. During your time in Dartmoor, be sure to explore the Dartmoor Prison Museum and National Park Visitor Centre Princetown. Ensure yourself a serving of local sport by taking a voyage to Millennium Stadium, situated 50 miles (82 kilometers) to the north of Stoke Canon. Modern visitors that want to book Travelocity-listed accommodation near the stadium can compare between the Flat 5 Cardiff or the The St David's Hotel & Spa. If you decide to fly into Stoke Canon, Exeter International Airport is your most logical airport. It is 5 miles (7 kilometers) away. 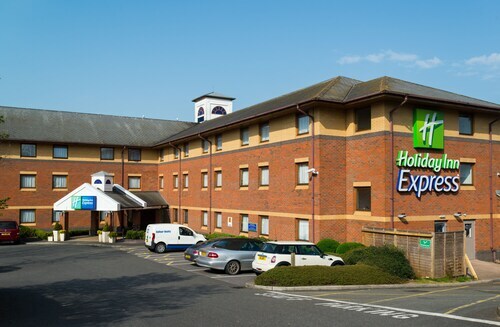 Hampton by Hilton Exeter Airport is a nearby hotel. 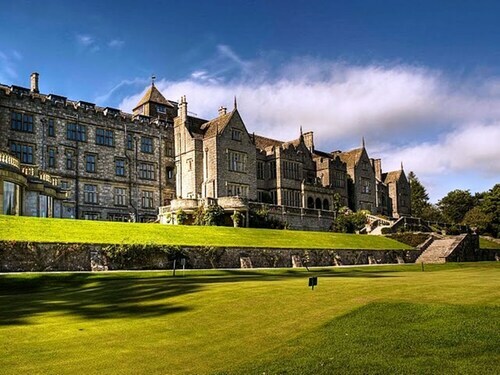 Bovey Castle has to be the best hotel I've come across! The location is spectacular but the food, facilities, activities and pampering even better. This place is great for families (so much for the kids! ), couples who want some time out, corporates or a perfect wedding venue. A must go to - I like most I'm sure, will definately be back!